Respect! Films has released a brand new trailer (over at Wired.com) for the documentary film Warren Ellis: Captured Ghosts and is looking for some finishing costs funding via Kickstarter. Captured Ghosts, the follow-up to the highly acclaimed Grant Morrison: Talking with Gods, features the most extensive interview Ellis has ever given. It spans his life, from his first memory watching the moon landing as a child to his recent cross-media success with the film adaptation Red. The documentary not only spotlights his iconic persona, it reveals the more nuanced person as well. Complimenting Ellis’s own words are interviews with his friends, admirers, and artistic collaborators, including Darick Robertson, Joe Quesada, Matt Fraction, Phil Jimenez, Molly Crabapple, Jeff Newelt, and many more. 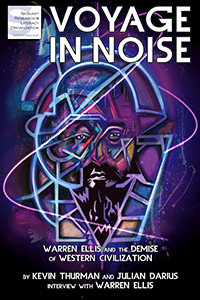 The film is nearing the end of photography and has exhausted the initial budget, so the filmmakers are reaching out to Warren’s fans for support. 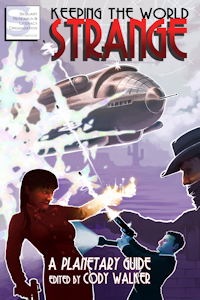 The money raised would support post production on the film and also allow the filmmakers to complete some visually-striking interludes that spotlight Ellis’s prose and writing. Please check it out, and consider donating. 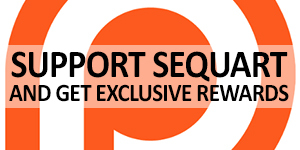 The film will launch in September 2011, with a simultaneous, global screening in many cities. A bonus-feature-packed DVD release will follow later in the year, and copies are currently available for pre-order at halo8store.com, both as a standalone item and in a bundle with Grant Morrison: Talking with Gods. 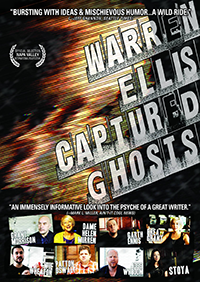 You can learn more about Warren Ellis: Captured Ghosts on this site, the film’s own website, its page on this website, and on Twitter. 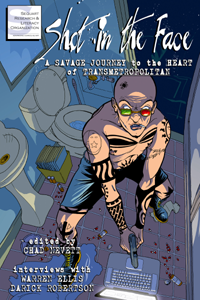 The film is part of Sequart’s “Year of Ellis” initiative, which also includes Keeping the World Strange: A Planetary Guide (read why you need to order now through your local comic shop), Voyage in Noise: Warren Ellis and the Demise of Western Civilization, and Shot in the Face: A Savage Journey to the Heart of Transmetropolitan. 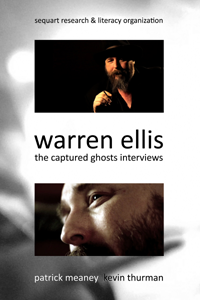 Tagged Kickstarter, Warren Ellis, Warren Ellis: Captured Ghosts, Year of Ellis. Bookmark the permalink.